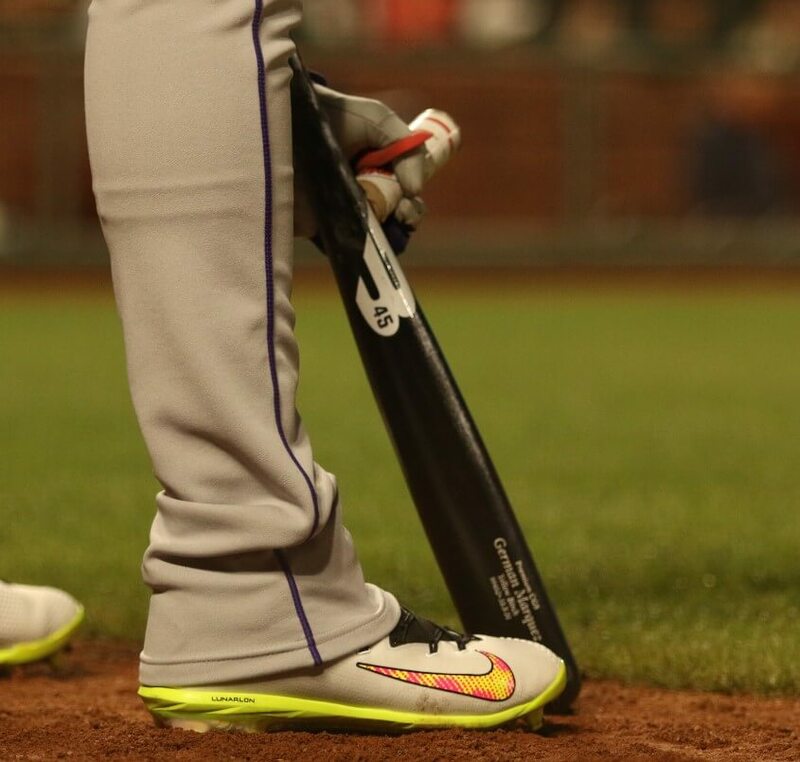 This is the classic bat weight you see in every on-deck circle in the MLB. The 24 oz weight is still widely used even as new designs and brands have entered the market. Get the Pow’r Wrap here. 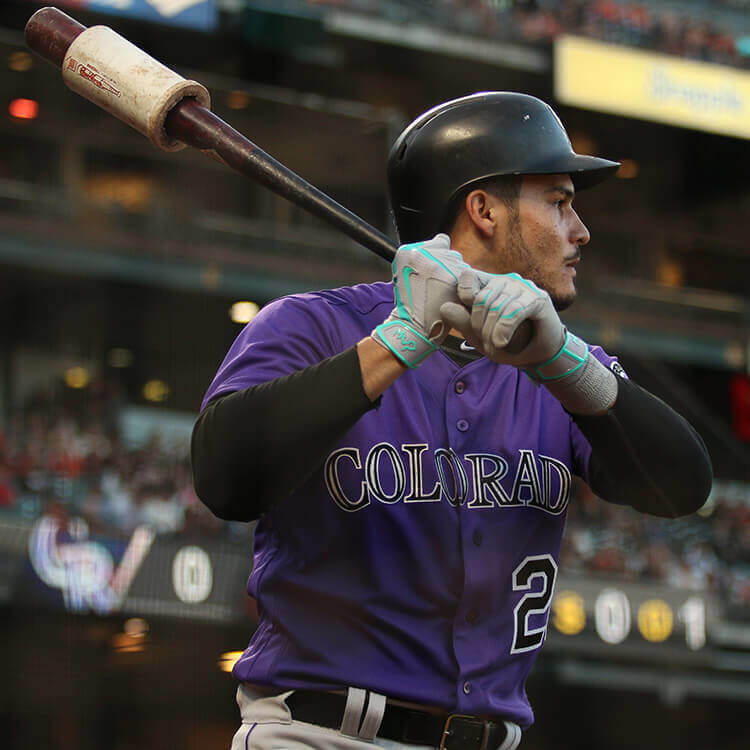 Varo is the latest innovation to hit MLB bat weights, using air resistance rather than just weight to get a hitter’s swing ready in the on-deck circle. Varo claims air resistance is the better option because your practice swings are more in-line with your game swings. If you don’t like the feel of having a bat weight on the bat, or if you are worried that a bat weight will damage the bat, there are other options. 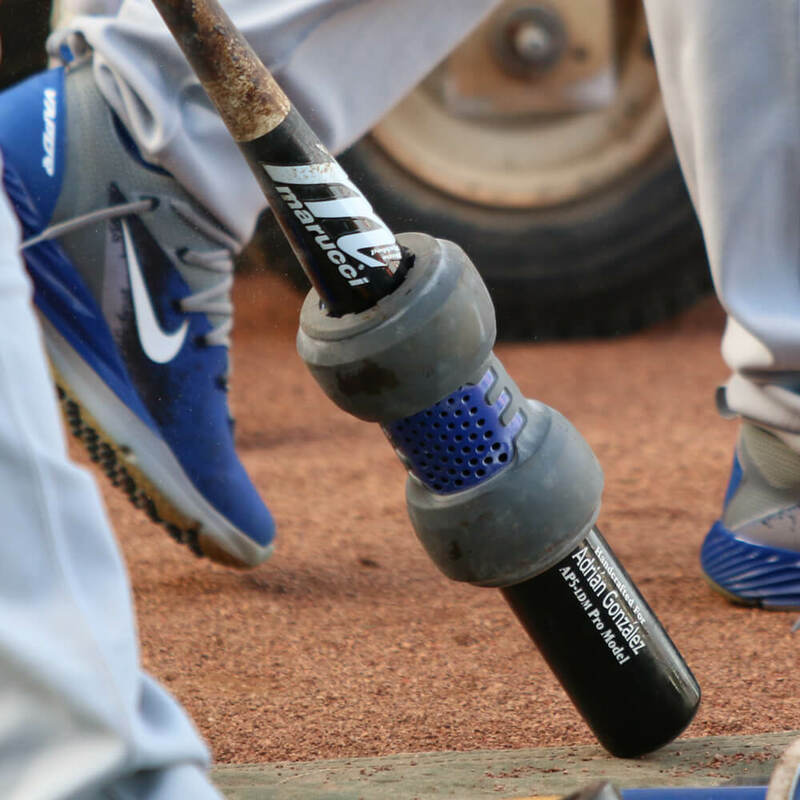 These weighted bats can be found in on-deck circles wherever baseball is played. The Dirx has an adjustable weight that can be distributed anywhere along the barrel. That bat weighs 96 oz (6 lbs) and also comes in a youth version that weighs 80 oz (5 lbs). This is basically an adjustable sledgehammer. The Bratt Bat aims to provide a more balanced feel, since the weight is distributed throughout the bat instead of concentrated in one part of the bat. 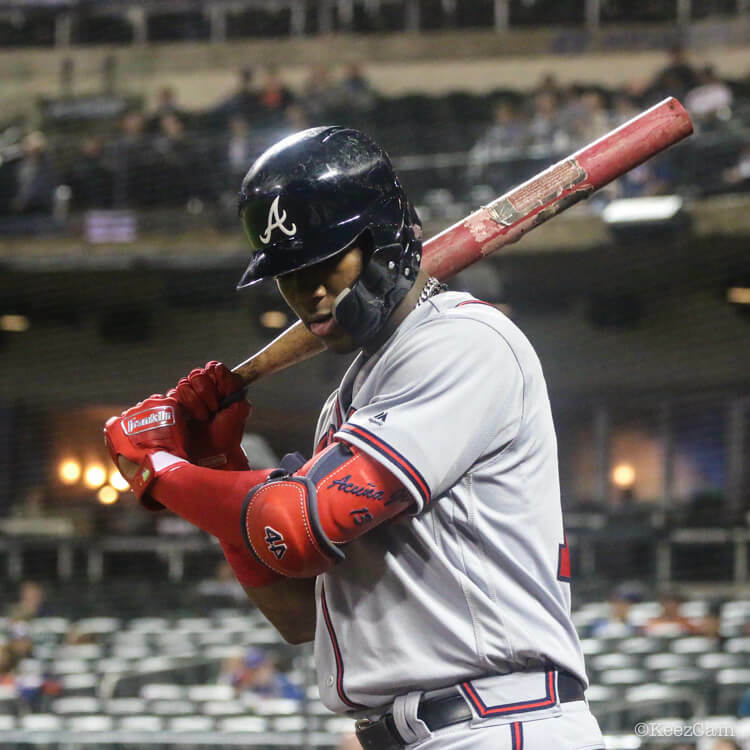 The Bratt Bat comes in various weights all the way up to 100 oz and it’s Ronald Acuña-approved. 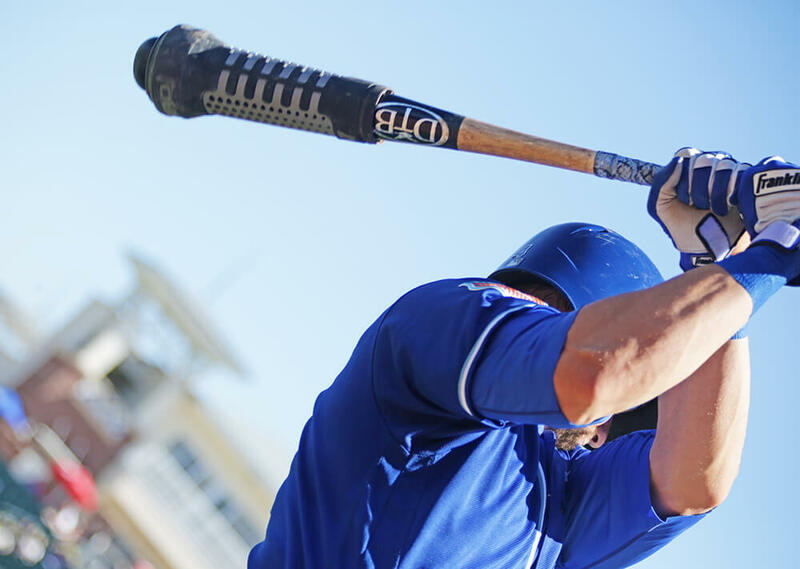 Like the Pow’r Wrap, the Bratt Bat is in virtually every on-deck circle in pro baseball. Shop it here. Another item that’s visible three photos up, on the left, the Hitting Jack-It. Its a 9 oz wrap that’s safe for live hitting, too. 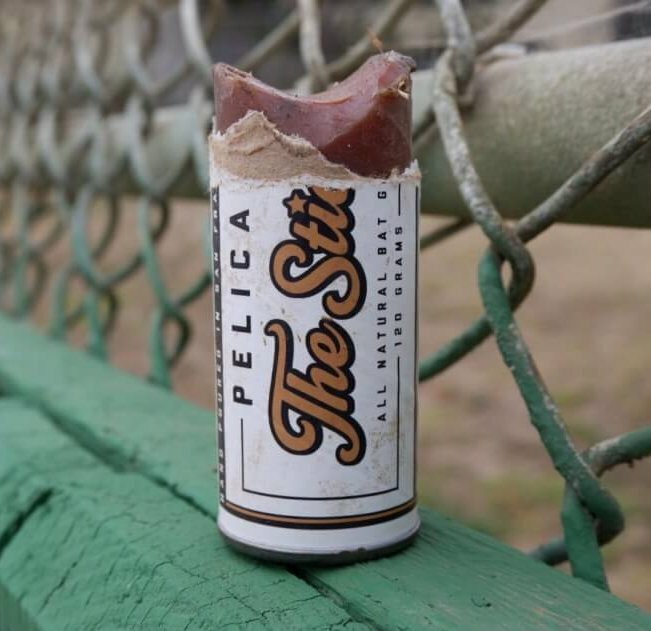 Pine tar is the old-fashioned way of giving hitters the tack they need. 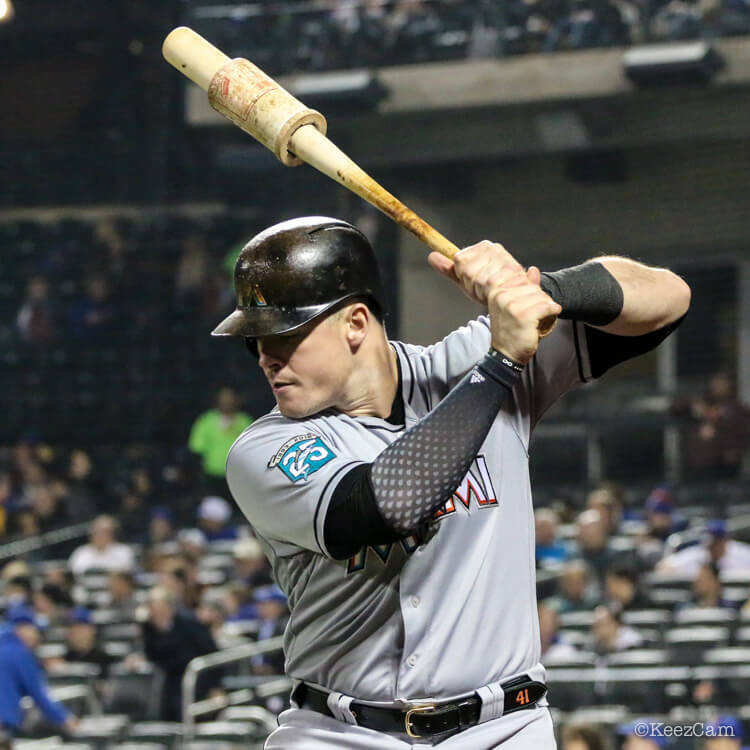 In recent years, the options have expanded, but like bat weights, old habits die hard and the classics are still widely used even as alternatives enter the market. This is the old-school pine tar stick found throughout the pros. A lot of the newer products are wax-based, but this is a good ol’ pine tar solution. The OG. Get it here. This is the kind of pine tar that is generally applied to bats using rags. The gel is a solution that contains rosin, and Tyrus says that a rag can be used but is not necessary. The thick and sticky is, as the name suggests, a thicker pine tar that requires a rag to apply. Tyrus also offers the rags, which are Velcro to minimize the mess. Tyrus also has an extensive collection of grip sticks for all kinds of weather. 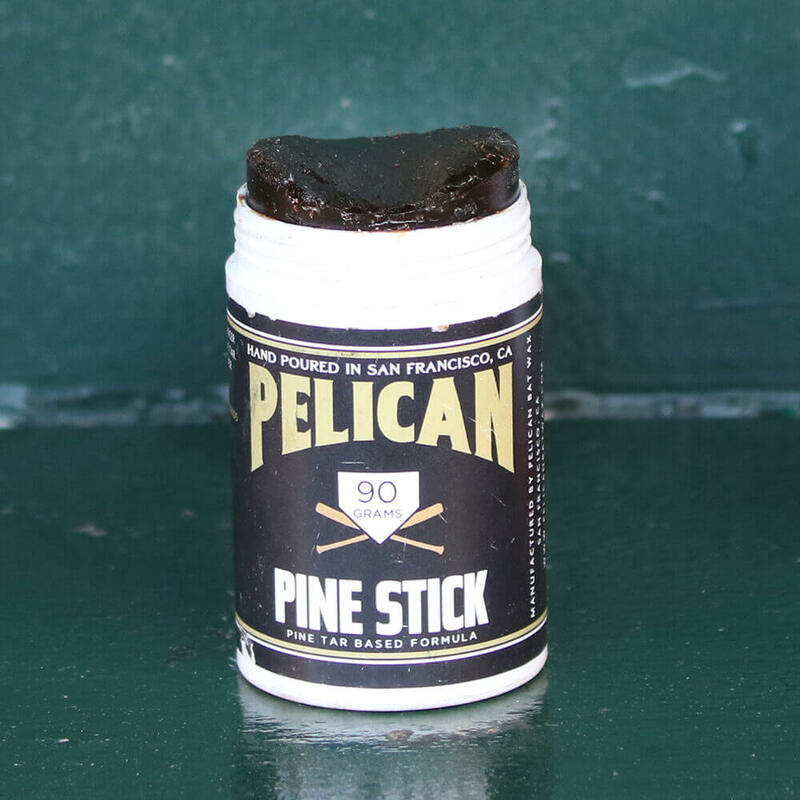 Pelican Bat Wax, a company that prides themselves on offering all-natural grip aids, offers a ton of solutions that provide grip, depending on your preference. Pelican is run by a baseball junkie and he makes the products himself. Aside from the Pine Stick and “The Stick” all-natural bat grip, we are most familiar with their Bat Wax and Grip Dip. 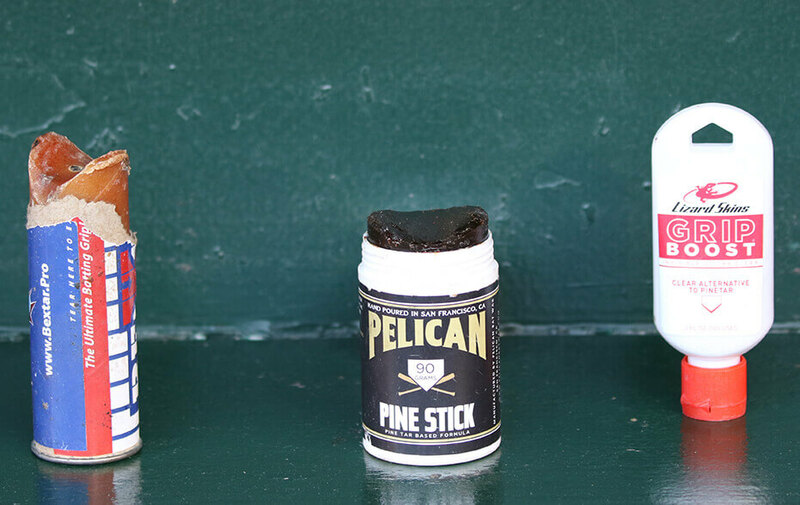 Bat Wax is a wax-based grip aid, while grip dip is a pine tar and rosin solution. 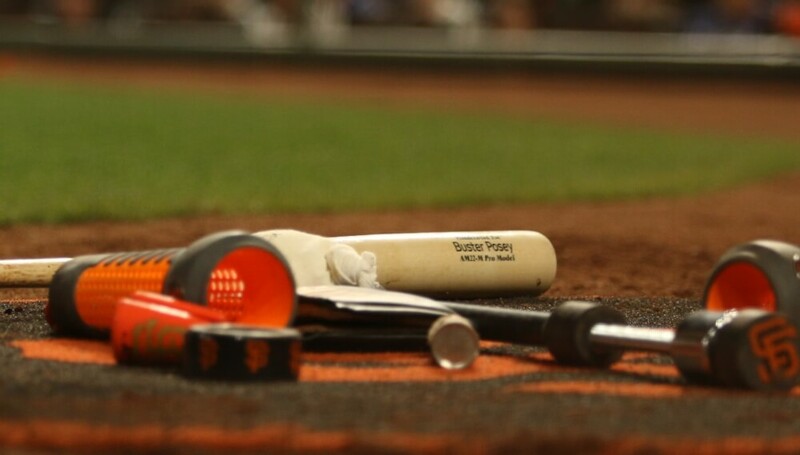 The Bat Wax is used by rubbing the bar on the bat, similar to a normal pine tar stick, while the Grip Dip is spread on the bat using a wooden spoon that comes with the Grip Dip. We did a sponsored post a few years back where Pelican showed us how to apply the Grip Dip (check it out here). 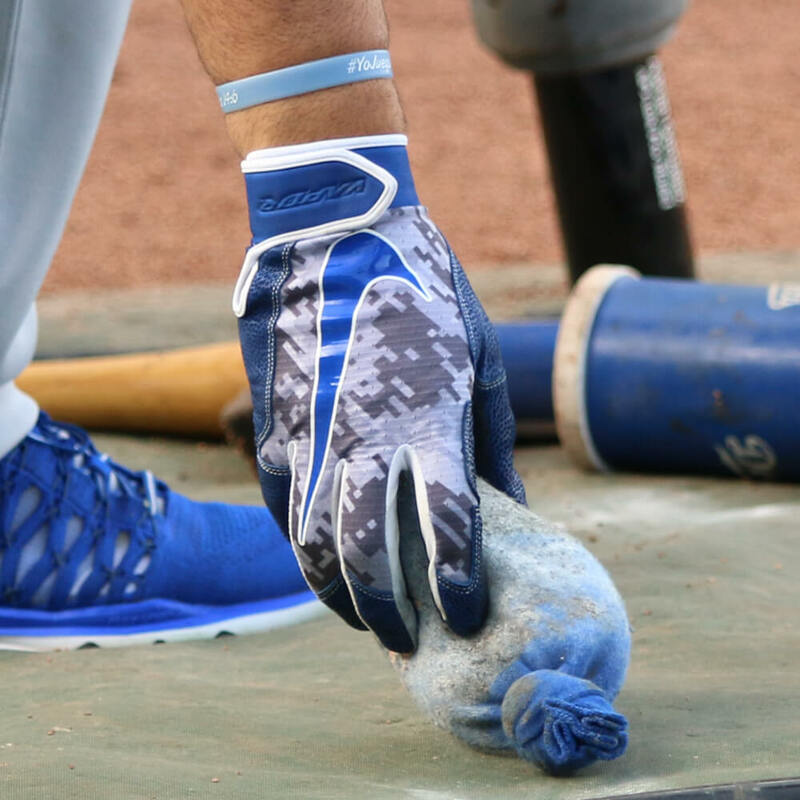 Tiger Stick is another wax-based grip stick that is used widely throughout the big leagues (the company provides a photo collection of Tiger Sticks being used in MLB, but the real reason to click the link is a can’t-miss photo of Yasiel Puig). Tyrus rosin bags are found on MLB on-deck circles and pitching mounds. They are a nice complement to pine tar for hitters and provide a little extra tack for pitchers, too. 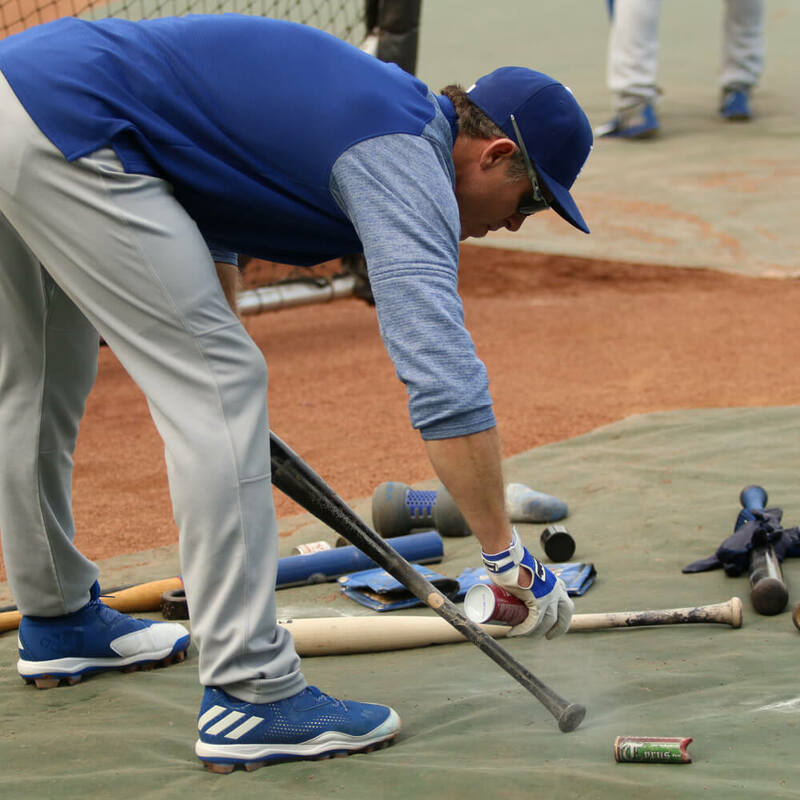 Sprays are also used as a substitute for messier pine tar rags or grip sticks. The one we see most is Cramer’s Tuf-Skin Spray (featuring the Varo ARC). What do you use? What did we miss? Let us know in the comments!